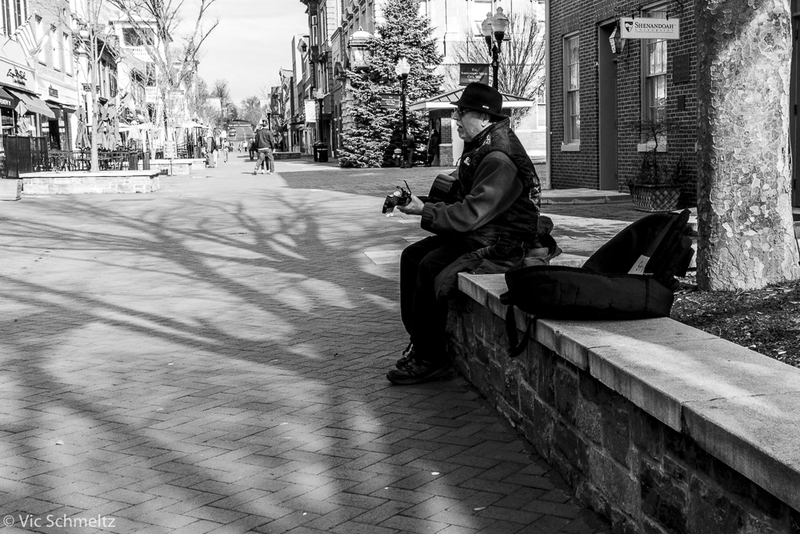 This entry was posted in Photography, Street Photography and tagged Canon, m6, Street, Street Photography on February 2, 2019 by vicsukuleleblog. This entry was posted in Street Photography and tagged rx100, Street on January 18, 2019 by vicsukuleleblog. This entry was posted in Street Photography and tagged Canon, m6 on January 8, 2019 by vicsukuleleblog. This entry was posted in Street Photography and tagged Canon, Street, streetphotography on January 1, 2019 by vicsukuleleblog. What does that mean? Basically it means they are not top of the line, they are good and produce a nice picture, but they are not the best or sharpest lenses. I soon learned that they also have a variable aperture, meaning if I was at 18mm with a 3.5 aperture, as I zoomed to 120mm the lens would move to 5.6 or more on its own. It all makes sense now but then I wasn’t sure why the aperture kept changing. Had I inadvertently moved something? No, because it is a kit lens it usually doesn’t have a constant aperture, meaning it doesn’t have the ability to maintain say 2.8 all they way through the zoom from 18-120mm. This is valuable to know because if you are shooting in low light you want a zoom lens that maintains a constant aperture. This makes sense but is expensive. Prime lenses that have low light ability can be had for a decent price. I had a Nikon 50mm 1.8 lens that only cost me a few hundred dollars. When I wanted to move to a zoom lens, say a Nikon 70-200mm 2.8, the price skyrocketed close to $2500. Of course that particular Nikon lens is one of their best and pro quality. Suffice it to say that on any level a constant aperture zoom lens will cost you more. It will be better built and probably a little heavier but it will be worth it. Since I am now shooting Fuji cameras I have purchased a “few” of their lenses. Many of them are primes because prime lenses are smaller and lighter and are available in larger apertures like 1.2 and 1.4. 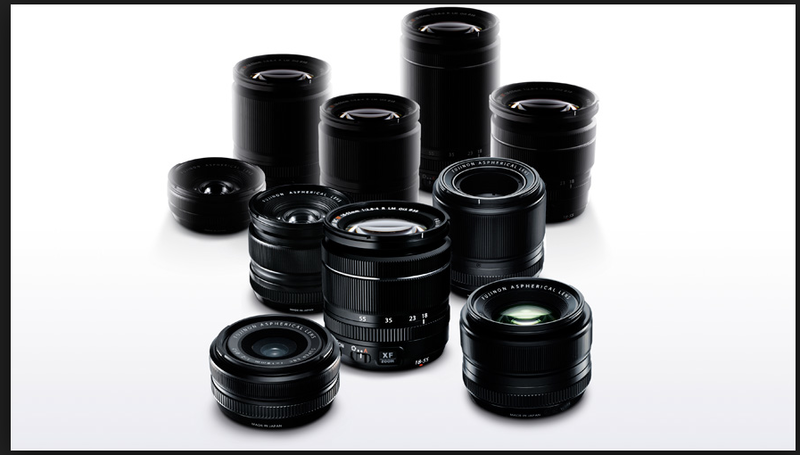 Fujinon lenses are top quality therefore some of the lenses, like the 56mm 1.2 I just purchased, will run you $1000. After shooting it for a few days I can say it is worth every penny. I like to shoot in low light and being able to open the lens up to 1.2 or 1.4 makes a difference. I can shoot at a lower ISO and get the shutter speed I want so the result is a sharp picture. That being said I have two zoom lenses from Fuji. The first is the 18-55mm lens that came with my Fuji X-E2. It may be called a kit lens but it really isn’t. It’s build is superior and the pics are sharp as a tack. It does not have a constant aperture so I have to remember it is 2.8 at 18mm and 4.0 at 55mm. This is still quite good for this type of lens. 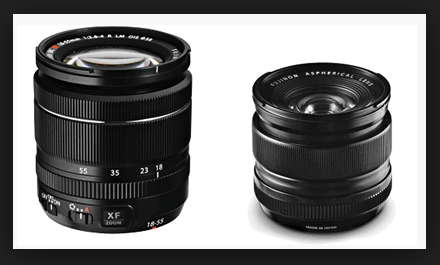 I know Fuji is working on a 16-55mm 2.8 lens but it will be bigger, heavier and cost more. My second Fujinon zoom lens is the 55-200mm. I use it for wildlife and am really surprised by its build quality and “the sharp as a tack” pics it produces. I was able to buy it during Fuji’s lens sale so I saved some money too. It too is a variable aperture lens so at 55mm the minimum aperture is 3.5 but when I zoom to 200mm the minimum is 4.8. Not bad but I would love it if it was 2.8 throughout the range. There is a 50-140mm 2.8 lens on the horizon for Fuji but I don’t have any details now. I am sure it will cost more and have a great build with a little more weight. I hope this has helped explain some about lenses and apertures. Maybe it will help you in your choice of lenses. I know as I have grown this knowledge has definitely helped me. I may end up spending a little more money but in the end I am much happier. Until next time, enjoy your camera and keep shooting! This entry was posted in Education and tagged fuji, fujifilm on December 26, 2018 by vicsukuleleblog. This entry was posted in Street Photography and tagged lx7, panasonic, Street, Street Photography on December 17, 2018 by vicsukuleleblog. If I may, a little background for this post. 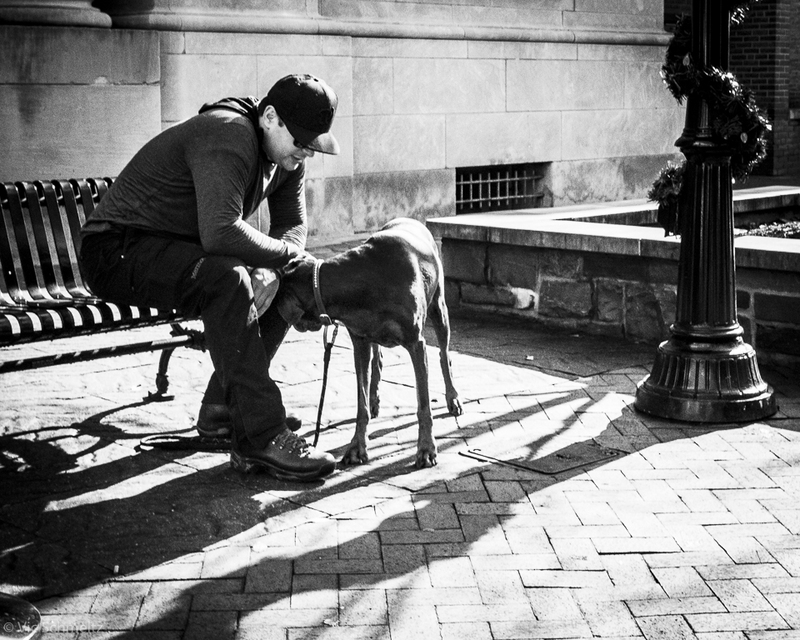 A few years ago I was deeply involved in street photography and had more than one blog that I was posting to and maintaining on the subject. In reality what I did was overextend myself to the point of burnout. I decided it was time to take a break, which I did. I pursued my music by playing bass, guitar and learning the ukulele. I also retired during this time so I had plenty of time on my hands. A few months ago I injured the index finger on my chording hand and decided it was time to give it a rest so it can hopefully heal. Having my background in photography I decided to buy a camera to take pictures of my new granddaughter. From 2010-2014 I had shot many different systems including Nikon, Olympus, Leica and Fujifilm. I decided this time around to buy a Canon camera since I hadn’t owned a Canon Rebel since my film days in the early 70’s. My first camera was a Canon M50 which I love and have used for people, nature and street. 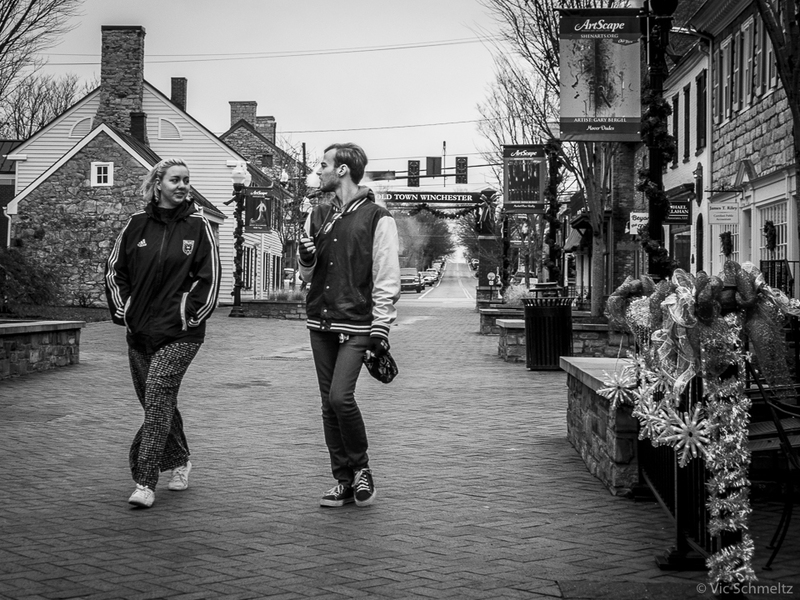 I then decided that I didn’t need a viewfinder for street, as I shoot from the navel and do all candids. After researching extensively and almost buying a Ricoh GR I decided that for the money a Canon M6 would work perfectly. Before I talk about the Canon M6 I want to make it clear that this is a user review. It is not a technical review. There are great websites that do very thorough jobs with this. My favorites are Imaging Resource and DP Review. 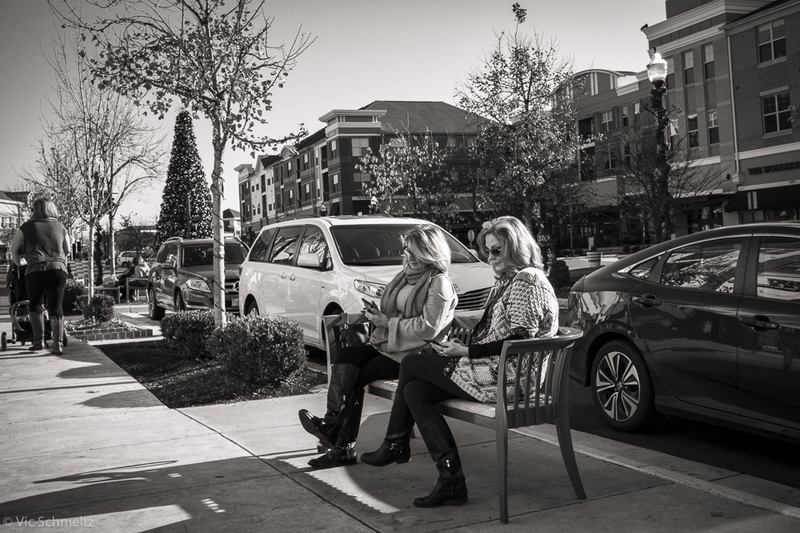 This review is about me using the M6 in a street photography situation. I found one locally so I purchased it. I already owned the M50 so setting it up would have been fairly simple but I decided to buy a course through Creative Live to do it properly. John Greengo is the instructor and he does a great job covering everything from buttons to menus. I highly recommend anything he teaches as he covers many aspects of photography. Unfortunately, I live in the Mid-Atlantic and it is cold. Shooting anything outside is uncomfortable at best but we were blessed with a couple of warm days so I was able to take the M6 out on its maiden voyage. I had it outfitted with the Canon 22mm lens so I was ready to go. My first task was to set it up to shoot using zone focusing. The lens does not have anything on the exterior to help with this process but it can be done. In manual mode I set the camera to f/10 with a shutter speed of 1/500th of a second. I used Auto ISO with a max of 3200. To deal with the focus I used auto focus to focus on an object about 8 feet away. 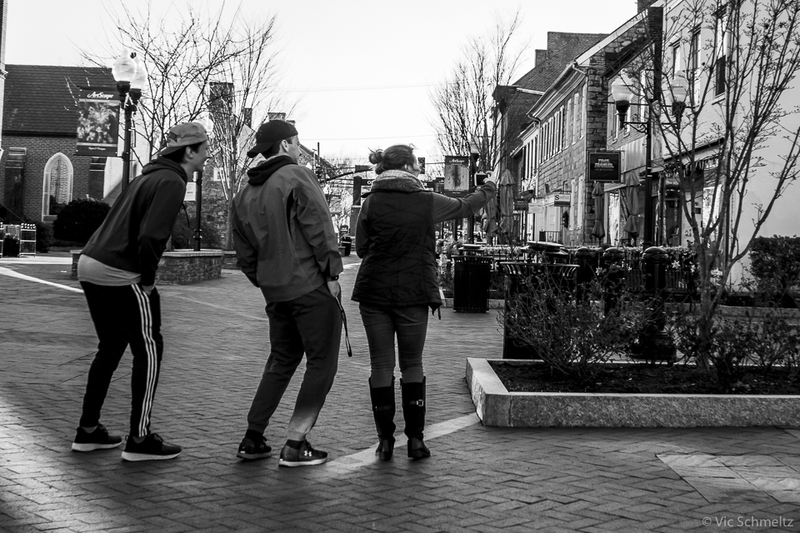 I then put the camera in manual focus and went on my photo walk. One thing I have learned with my photography is to always be ready which means the camera is on and ready to go when I leave the car. As soon as I turned the corner to the walking mall I saw this couple. I am glad I was ready. I love this picture. There is affection and undoubtedly discussion going on. I have other pics of them I will share at another time. I basically walked the mall shooting as I went. I love pics like the one above. I shoot candids. I have the camera hanging from my neck, resting on my navel ready to shoot. I look like a run of the mill tourist. I do not look through the LCD and I don’t pose people. I want to capture photography on the street, as people are, without them knowing they are on camera. Let’s face it, when people know they are having their picture taken they don’t look natural so a candid, normal shot is not possible, at least in my mind. My finger is always on the shutter as I look for a pic to take. When I got to the end of the mall I decided to use the camera in auto focus. I was curious to see how it would focus and if it would be as good as the M50. It did a great job- on par with the M50. Here are my first thoughts on the Canon M6. Small, light and doesn’t stand out. Mine is black with black gaff tape over the Canon and EOS lettering. Very easy to hold and use. Comfortable ergonomics. It is fast and relatively quiet. More on this in the “Cons” area. The picture quality is great and the CH mode works well. I always shoot in CH but only take 2-3 pics at a time, usually. The RAW files convert to B&W nicely. It cost me less than $500 without the lens which I thought was a good price. No “silent” setting. It doesn’t even have a silent scene mode like the M50. I want the ability to turn off the volume of the shutter so it can be completely silent. For me, this is important. Without that ability I am limited in what I can shoot. The battery. It is impossible to find an aftermarket battery, as in Wasabi, that will function normally. I have them for my M50 and my Panasonic LX7. I bought two from a battery warehouse but they wouldn’t register in the charger or the camera so I never knew how charged they were or what kind of battery life I had. Now I have to spend $50-60 on a small Canon battery. Listen up Canon. I understand profit but not when I can buy an aftermarket battery that works as well as the $50 version, for $5. Not cool in this situation. The LCD is impossible to see under certain lighting conditions. I don’t use it to shoot but on rare occasions I like to see how a picture is framed or if it is in focus. Here is how I decide how much I like a camera. If it was stolen, would i get another one? In this case- YES! Definitely. The weather is limiting me as far as street photography goes right now but when I get a nice day I will be out with the M6 right away. On a side note, I have just received an Artisan 35mm lens from B&H with the appropriate scale so I can monitor distance and depth of field when I zone focus. I am really looking forward to shooting with this lens. I got use to this kind of set-up with my Leica cameras, especially my M8. More to come once I get a chance to try it out. All in all, if you want something to shoot street photography that is small, light and more than capable, I highly recommend the Canon M6, even though the battery situation is a pain in the posterior. This entry was posted in Review, Street Photography and tagged Canon, m6, photography, review, Street, Street Photography on December 5, 2018 by vicsukuleleblog.